Custom House and Houston Metro. Traveling on a city’s light rail system is one of my favorite means of urban exploration. Last week, my father and I spend several hours traveling on the Houston, Texas Metro Rail. Here’s a few photos I made near the city’s Custom House. Exposed using my FujiFilm XT1 in downtown Houston, Texas. Panned image. Note the relative sharpness of the light rail car versus the Custom House. I walked from the Sam Houston Hotel two blocks to Fannin Street, where I exposed a few photos of the city’s Metro light rail using my old Lumix LX7. This was my first taste of this modern Texas rail transit system. The following day, my father and I explored the Metro Rail in daylight. Fannin Street in Houston, Texas. 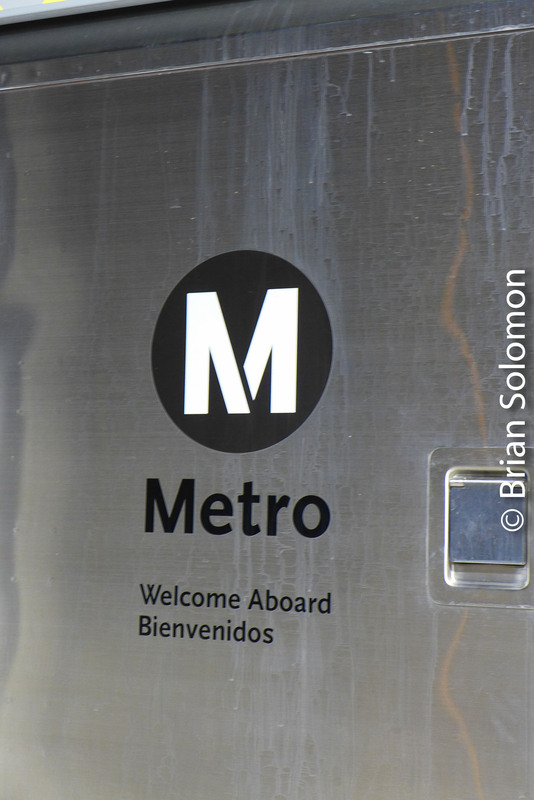 Los Angeles Metrorail: Willowbrook-Rosa Parks Station, Compton. Changing trains on my way to Long Beach from LAX. Photos exposed with my Lumix LX7. 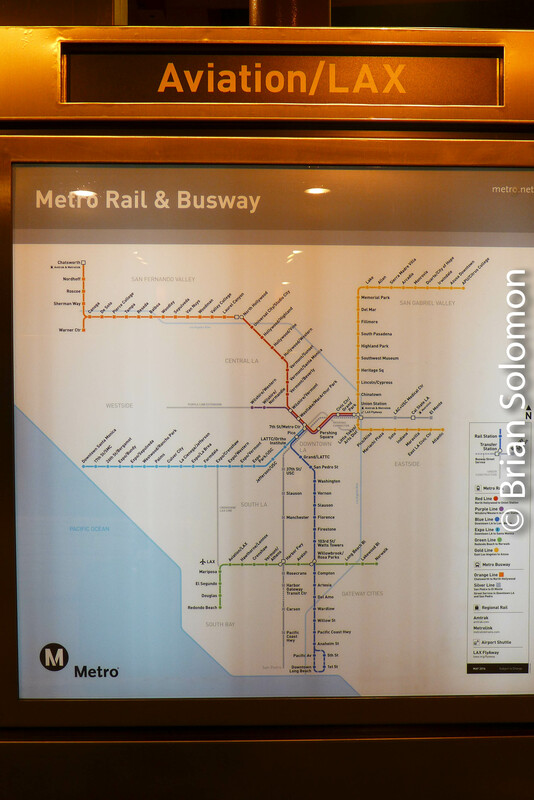 After arrival at LAX (Los Angeles International Airport), I made my way to the Metrorail light rail station. You have to take the LAX ‘G’ bus to get there. Buying the fare took a bit of skill. This photo was exposed in ‘Scene-mode, night photo’. It is a composite image created digitally. 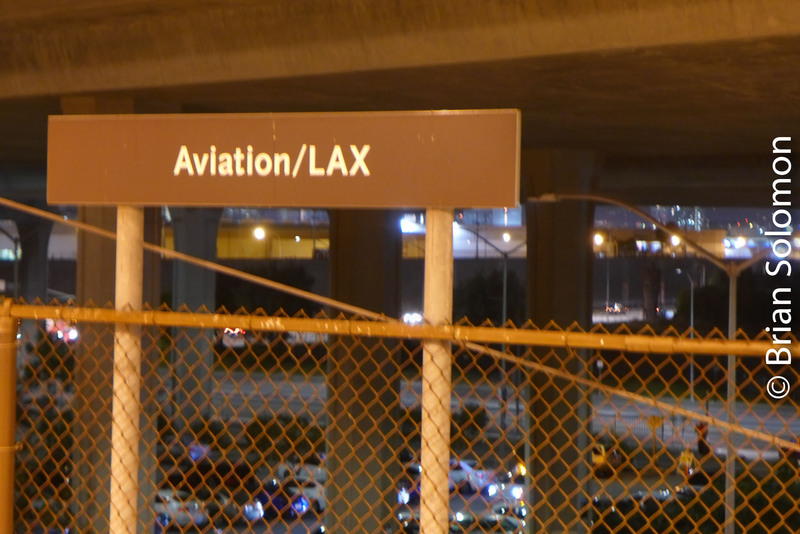 Once up on the platforms, which are elevated high above ground level at the Aviation-LAX station, I made a few photos of passing trains using my tired and battle work LUMIX LX7. Then I boarded a Green Line train to change for the Blue. I processed these photos using Adobe Lightroom. Is this the Slowest Light Rail Line in North America? My father and I were surprised at the glacial speed of MBTA’s Commonwealth Avenue line when we rode from Park Street to Boston College and back last May. Must Boston’s streetcars travel so slowly? By comparison take Prague’s nimble trams that whisk passengers through the city’s streets. There’s a lesson to be learned. Pedestrians observe MBTA streetcars near the Boston College terminus in June 2016. Exposed using a Lumix LX7. Tata Tram in Prague, Czech Republic, October 2016. Exposed on Ilford HP5 (ISO 400) using a Canon EOS-3 with 40mm pancake lens. Gold Line with Skyline—Los Angeles Metro Rail. Metrolink runs the Los Angeles-area heavy rail commuter/suburban services. 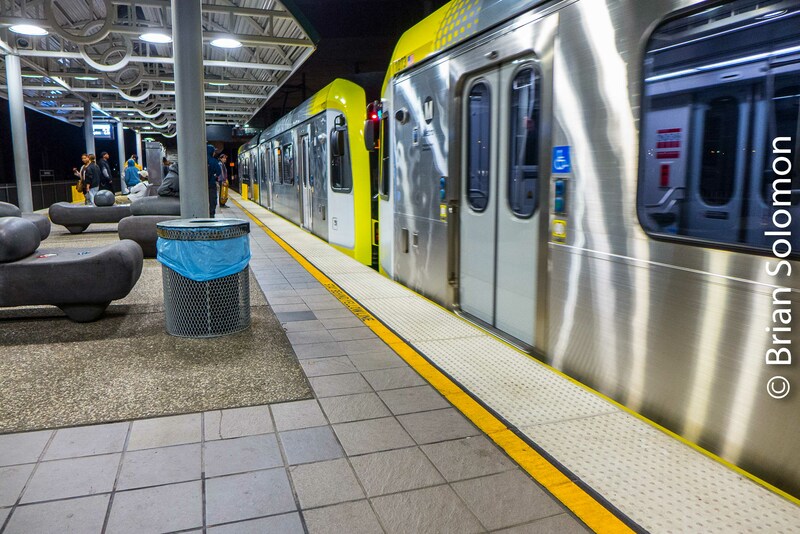 Metro Rail runs LA’s subway and light rail lines. Earlier this month (August 2016), I made some views of the Gold Line extension to Atlantic from First Street. This offers some nice views of the cars with downtown Los Angeles skyline. Looking east toward Atlantic. Gold Line’s Pico/Aliso stop can be seen in the distance. (Not to be confused with Pico on the Blue Line/Expo Line that is located southwest of downtown. Just in case you were confused). This trailing view of an in bound Gold Line set was made with a slightly wide-angle focal length using my FujiFilm X-T1. To pull in the skyline, I used a telephoto lens, which makes the buildings seem larger when compared to the light rail cars. When taken to extremes this effect can make the skyscrapers appear surreal. Metro Rail Expo Line; Light Rail under Sunny Skies—Los Angeles, August 2016. 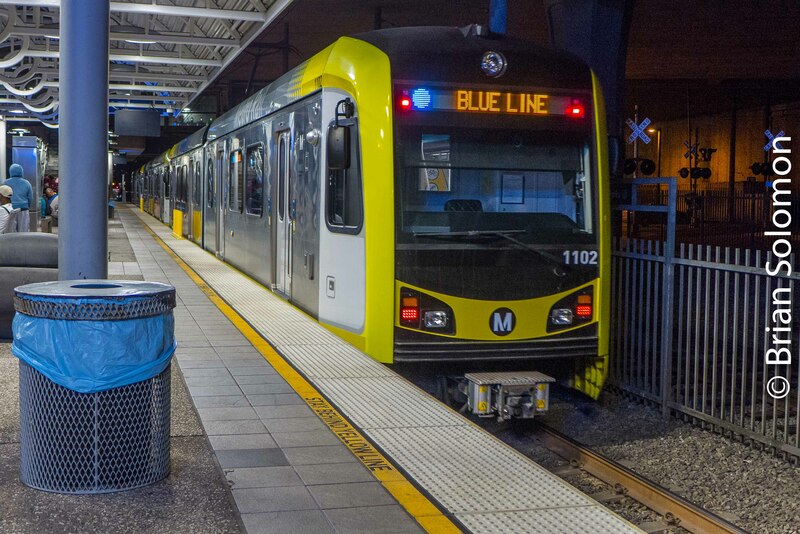 I was keen to explore one of the Los Angeles-area’s most recent light rail extensions: Metro Rail’s so-called Expo Line that runs west from a connection with the Blue Line (near downtown) and roughly follows the alignment of an old Pacific Electric route along Exposition Boulevard to Santa Monica. 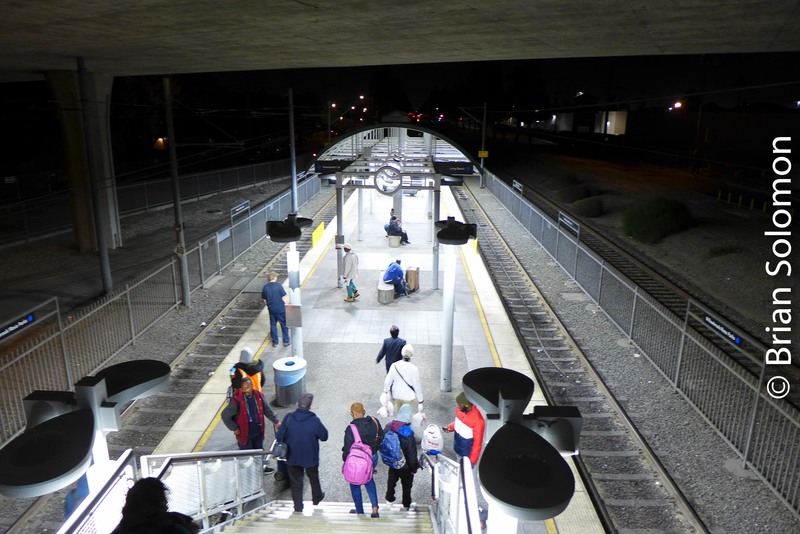 The portion of the line from Culver City to Santa Monica was opened in May this year, and so still has that newly-built appearance. LA Metro Rail pays tribute to the old Pacific Electric at its stations with artwork and historical interludes. Attention to the platform art will yield the viewer bits of history and PE heritage. Using my Lumix LX7 and FujiFilm X-T1 I made these images under bright sunny skies. Yet, I wonder about the opportunities for evening and twilight images on this line? The Expo Line’s largely east-west alignment combined with LA’s propensity for air-pollution should present some impressive lighting conditions. I’m not the first observer to embrace the pictorial effects of Los Angeles air quality. Perhaps a visit with a very long lens during a smog alert could yield some colorful results? A telephoto view exposed with my FujiFilm X-T1 of a modern light rail car approaching Santa Monica. Expo Line station at Santa Monica. A Lumix LX7 view of an LA-bound car departing Santa Monica. Trailing view of the same cars. 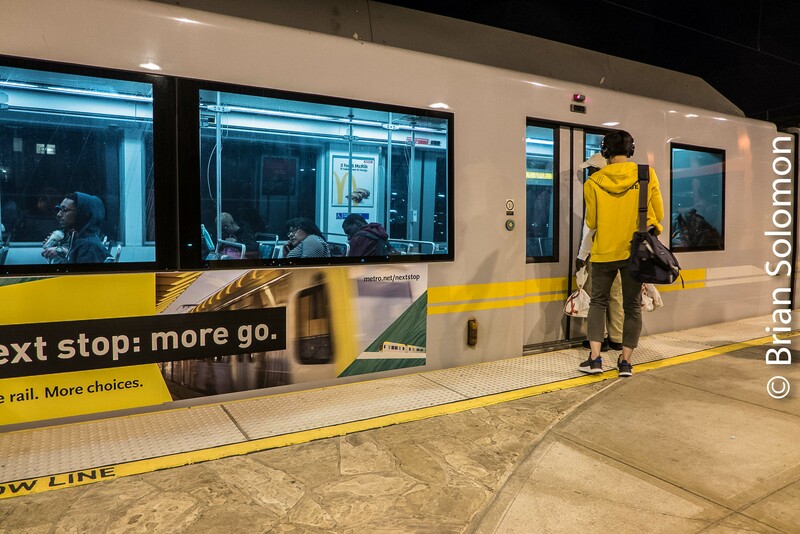 Metro Rail is advertising the Expo Line on the side of this car. An old car in new paint graces the streets of Santa Monica. LX7 photo. Clean new signs are a feature of the Expo Line extension. Outbound cars at Jefferson. Lumix LX7 photo. Jefferson; cars stop just long enough to make a photo before boarding. This one is 1027; do YOU remember the significance of that number? 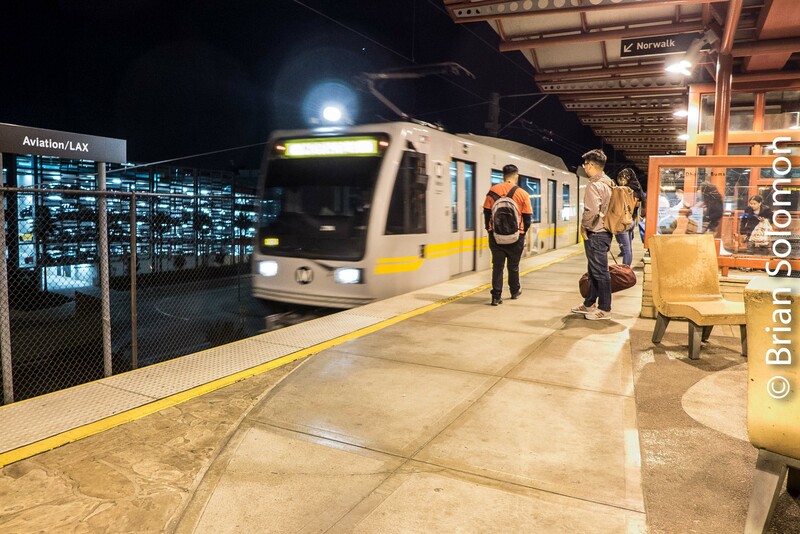 At Pico, the Expo Line shares platforms with the Blue Line (that runs to Long Beach). Careful, you might board the wrong car outbound! Pico looking toward downtown LA. Lumix LX7 view. NJ Transit Hudson-Bergen Light Rail; My Jersey City Gallery, 8 photos. I arrived in Jersey City on NJ Transit’s Hudson-Bergen Light Rail a few days ago. While I was checking out some comparative ‘now and then’ locations, I made these photos of the modern cars with my Lumix LX7. Tracking the Light Posts Original Photos! I was on my way from Gladstone to Cranford, New Jersey. During my change of modes at Newark Broad Street, I made this photo of an in-inbound NJ Transit light rail car. It was hot, and the light was tinted by the prevailing smaze, a condition often prevalent in this part of New Jersey. Question: would it be better to filter the light to counter the tint, or run with a ‘daylight’ setting that would show the brownish tinge the way it really is? Broad Street in Newark, New Jersey. Exposed with a Lumix LX7. Tracking the Light offers original material daily! Riding the Tide: Norfolk, Virginia’s Light Rail. In the last couple of decades, a number of North American cities have adopted light rail as a preferred mode of public transport.Personally, I don’t make distinctions between light rail lines, streetcar lines, interurban electric lines, and/or trolley lines, since all use essentially the same technology with minor variations in the way they are adapted. Ground level view along Plume Street in Norfolk. Exposed using my Fujifilm X-T1 which has an adjustable rear display that facilitates holding the camera at a very low angle without requiring a chiropractic visit afterwards. Nice Siemens trams (light rail vehicles) glide along on regular intervals. Part of the route is built on an old railroad right of way. It is my understanding that plans are in the works to extend the route east toward Virginia Beach. For four dollars you can Ride the Tide all day, and, if you so choose, take a bus ride too. A map of the Tide in downtown Norfolk. Lumix LX7 photo. The Tide taking the turn on Bank Street. Fujifilm X-T1 photo. Norfolk, Virginia is a tidy city. Plume Street. Lumix LX7 photo. At least one of the trams was dressed in a special livery. Lumix LX7 photo. At the east-end of the line. Old railroad tracks continue beyond this point and may someday carry the Tide further east. Tide rules. Lumix LX7 photo. Riding the Tide. Lumix LX7 photo. Tide seats. Lumix LX7 photo. Seven photos of a reincarnated railway. NJ Transit’s Hudson-Bergen Light Rail has been on my photo list for more than a decade. It’s one of those things that is close enough to be just out of reach. When an operation is under threat, time is made—found—to photograph it. You know, before its gone. But when something isn’t going anywhere, its often easy to ignore. Such was my failings in photographing the Hudson-Bergen Light Rail. Thanks to a detailed tour with Jack May on January 15, 2015, I’ve finally explored of this interesting operation. This simplified map of the system is posted in all of the cars. Canon EOS 7D photo. Hoboken terminal, which the light rail serves via stub-end spur. This compact modern passenger railway operates on a selection of former heavy-rail railroad rights of way, including through the old New York, West Shore & Buffalo tunnel at Weekhawken. The day was ideal; sunny and bright with clear skies. We first rode north from Hoboken to Tonnelle Avenue, then worked our way back south through Jersey City to Bayonne visiting a variety of stations along the way. A view looking back toward Weekhawken. As a kid I was fascinated by the Palisades. Much of the route passed through places that I recalled from adventures with my father in the 1970s and early 1980s. The Jersey waterfront was different place back then. What had been rotting wharves, badly maintained freight trackage, and post-industrial squalor is now all up-scale housing, modern office towers, and otherwise new construction. It was familiar, yet different—like some weird vision of the future. The 8th Street Station is located at the south end of the system in Bayonne. Canon EOS 7D photo. A portion of the line running toward 8th Street usesgthe right of way of the old Central Railroad of New Jersey four track mainline—once the route of the Queen of the Valley, Reading’s Crusader, and Baltimore & Ohio’s Royal Blue and Capitol Limited. I may have missed all of that, but my father has a few choice photos from those days. Canon EOS 7D photo. In addition to these digital photos made with my Canon EOS 7D, I also exposed many color slides on Provia 100F with my EOS 3 for review at later date. The Katyn massacre memorial is located near Exchange Place across from lower Manhattan and a short walk from the light rail line. Many years ago, Pennsylvania Railroad operated an extensive terminal near this location that featured a cavernous balloon style shed patterned after London St. Pancras. My father brought us to the site of the old terminal in the early 1980s-even then there wasn’t much to remind us of the glory days. Dawn and dusk are great times to make urban images where there’s a mix of natural and artificial light. The reduced amount of daylight and the change in color temperature helps control contrast, simplifies exposure, while making for a more dramatic image. I exposed this view of a tram train under the shed at Karlsruhe on the evening of May 11, 2011 using my Lumix LX-3. The Germany tram train system allows specially designed light rail cars to share tracks with mainline trains. The system greatly benefits passengers and maximizes the use of the railway network. Tomorrow: Dusk and an annoying cone! Breda Light Rail Vehicles Work San Francisco Streets. Shortly after sunset in May 2008, a San Francisco Muni L-Taraval car takes the corner from 15th Avenue to Ulloa Street on the way toward West Portal, where the line enters the Twin Peaks Tunnel. Exposed on Fujichrome with a Canon EOS 3 with f28 200mm lens. Eighteen years earlier I made a similar view near this spot, which appeared in an issue of Passenger Train Journal in the 1990s. Although less photographed than historic cable cars and vintage streetcars, San Francisco Muni’s light rail routes offer plenty of interesting opportunities to make urban railway images. The sun rises through a thick bank of Pacific fog as N-Judah cars pass on August 27, 2009. This was exposed on Fujichrome slide film with my Canon EOS 3 fitted with a 100-400mm image stabilization zoom lens. San Francisco enjoys spectacular weather and lighting conditions. My favorite times to photograph are a sunrise and sunset. While the modern Breda-built cars lack the flair of historic PCC’s (see San Francisco Muni F-Line, May 2008), they still make for interesting subjects for the creative eye. Spring Colors for Dublin Transport. Harcourt Street, April 3, 2013. The other evening I was at birthday party in Dublin’s old Harcourt Street Station where I noticed the passing of a purple advertising tram. Wednesday, April 3, 2013 dawned clear and bright, so during the course of my day, I took a spin down the LUAS Green Line, and intercepted this latest ad tram. I exposed digital photos with my Lumix LX3, while making a few slides with my old Nikon F3. Alstom Citadis Tram in advertising livery arrives at Kilmacud on the LUAS Green Line, April 3, 2013. LUAS Alstom Citadis Tram seen at St Stephens Green, Dublin. Harcourt Street looking north on a rainy March 1998 evening; Nikon F3T with 50mm Nikkor Lens, Fujichrome 64T slide film. Exposed manually with aid of a Sekonic Studio Deluxe hand-held light meter. This image appears on pages 184-185 of my book Dublin, published by Compendium in 2008. There are very few places where I my memory predates the railway. However, Dublin‘s LUAS tram system (opened in 2004) offers one example. I made my first photos of Harcourt Street in March 1998. It was a rainy evening, and I was experimenting with some tungsten balanced Fujichrome to enhance the blue twilight glow. On November 3, 2010, a LUAS Green Line Tram bound for St. Stephens Green navigates Dublin’s Harcourt Street. Canon 7D with 28-135mm lens set at 130mm, ISO 1250 1/40th sec f5.7. Moving a dozen years forward, on November 3, 2010 I was interested in replicating the effect of my earlier efforts (without any attempt at precisely recreating the scene; my 1998 photo was made from the south-end of the street looking north, while the 2010 image was from the north-end, looking south). The image of the tram was made with my Canon 7D with the 28-135mm lens. Here, the tungsten color balance was accomplished in-camera using the ‘light bulb’ white balance setting. (See: Steam at Dusk, December 15, 2012) . This image was made during the final glow of daylight, and rather than neutralize the bluish light by using the auto white balance setting, I opted to enhance the effect while offering adequate compensation for the warm-balance street lamps. I was particularly drawn to reflections in the street and the repeating window frame patterns in the Georgian buildings above the tram. The pedestrian silhouettes seem apropos for the time of year; here past meets present. Photo Thursdays – White Balance! Nottingham Post commented Residents happy with bus in Beeston say: Who needs the tram?